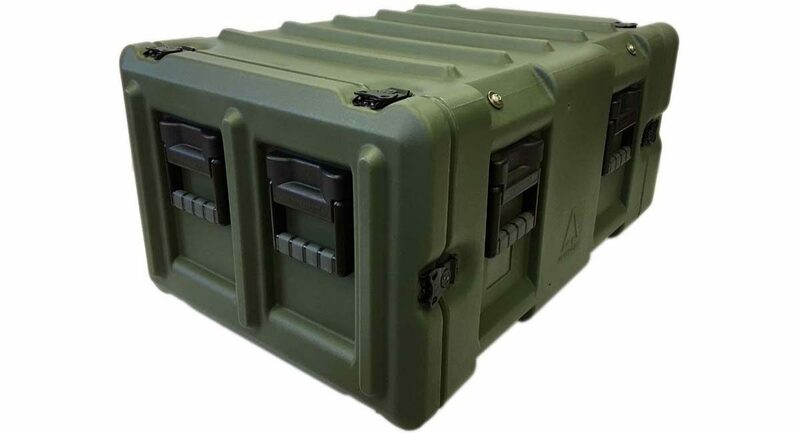 Amazon 19” rackmount transit cases feature the protection of our ruggedized rotomolded polyethylene cases with a lightweight aluminum or stainless steel chassis suspended by elastomeric anti-vibration mounts. 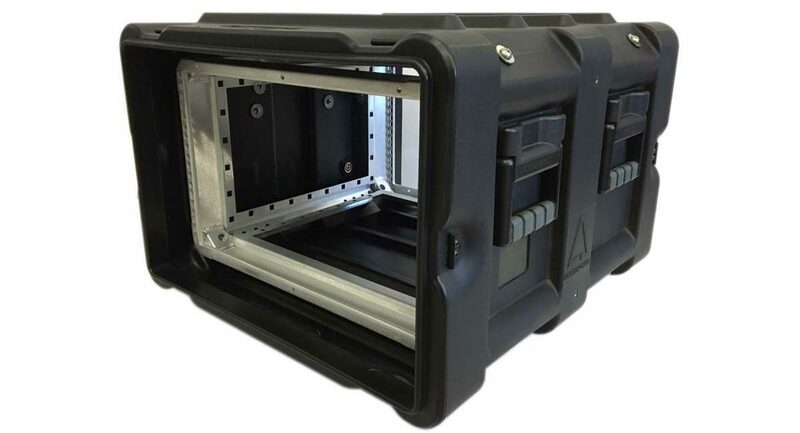 Amazon 19 inch racks are available in 4U, 6U, 8U, 10U, 12U and 14U sizes with chassis depths of 19”, 24”, 29” and 34”. 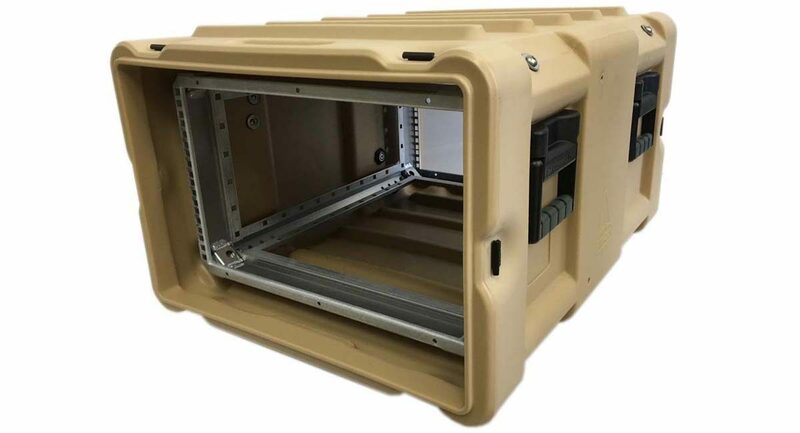 Designed to protect your electronics in extreme conditions, Amazon 19 inch racks thrive under rough handling in military or commercial applications. 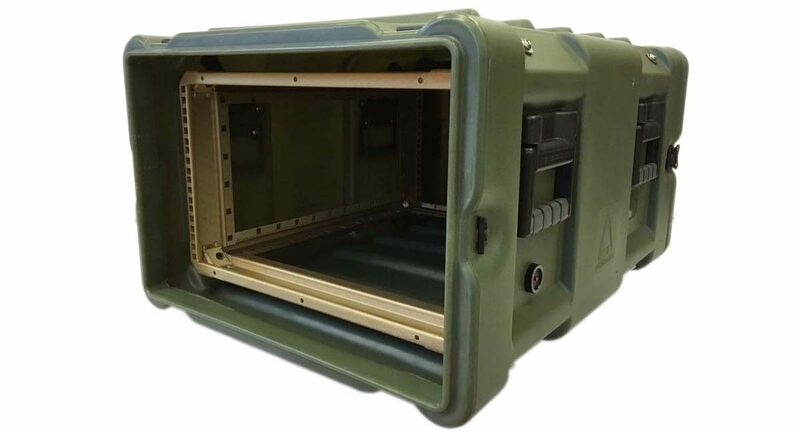 Our racks are certified to MIL STD 810F and rated IP65, with short lead times. 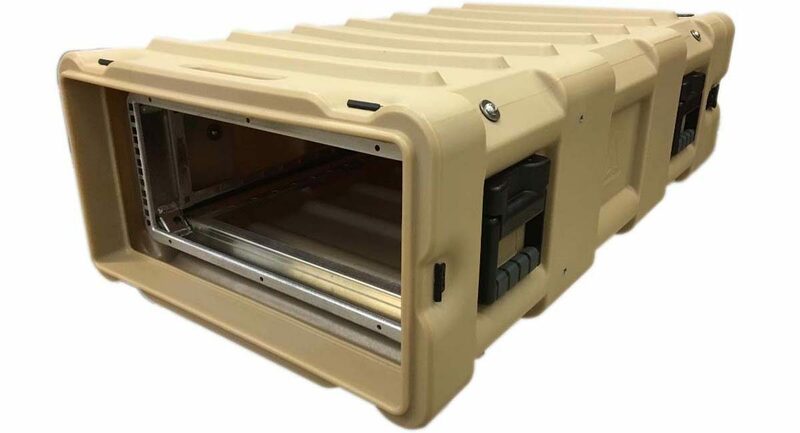 Choose from a variety of options – wheels, slide-out chassis, storage pouches, tie-downs, air conditioners and more. 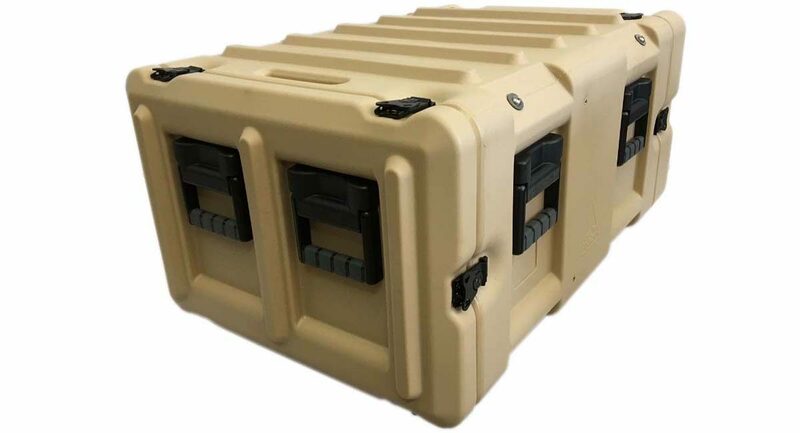 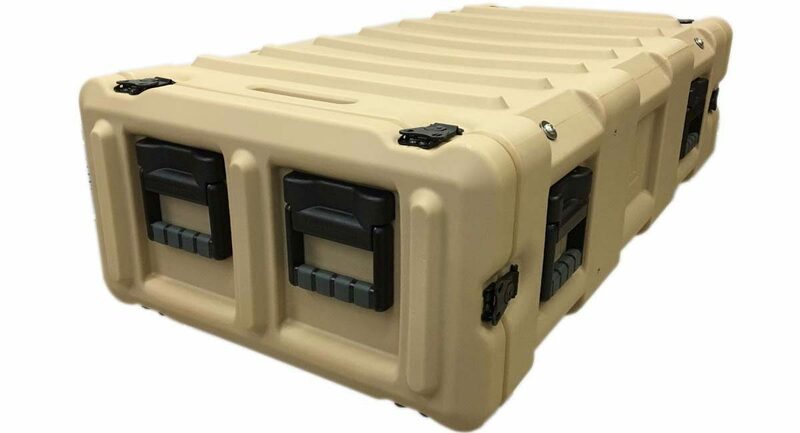 In addition, these racks and transit cases are available with a new high performance extruded aluminum 19″ rackmount chassis this new approach of combining precision manufacturing techniques with innovative design chassis brings outstanding durability and performance during shock & vibration testing. 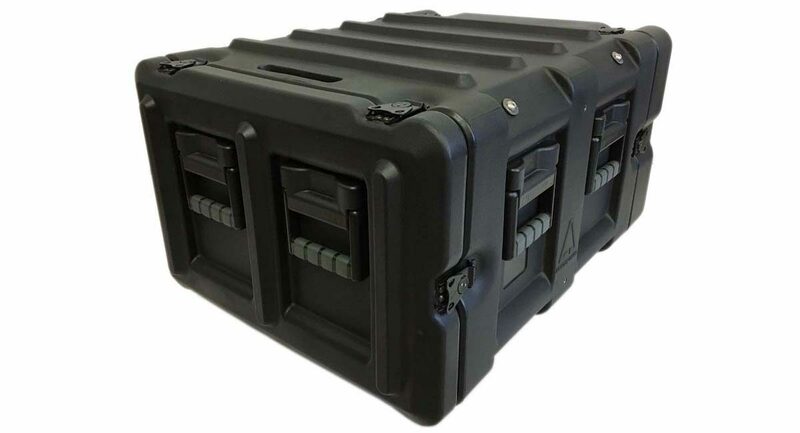 And for all-around access to your gear, or you like the idea of being able to easily swap electronics from Rack A to Rack B. Here’s a great solution – CP Cases’ EasyGlide Option.